Boston is a city that appeals to most people who enjoy staying in a vibrant and diverse coastal town with multiple cultural opportunities, access to excellent healthcare, world-class shopping, and also a focus on quality education. As more and more people move into the Boston area, the city is looking to ways to accommodate all of the new residents. The city is currently in the midst of a building boom, and lots of structures are being erected that will transform the face of Boston. Here are the top five Boston-area developments to watch in 2019. Developers Gerding Edlen, Meredith Management, and the TH Real Estate officially broke ground for the Fenway Center on January 30th, 2018. The groundbreaking ceremony capped many years of planning and readjustments for what most people view as one of the city’s most iconic projects of the 21st century. The five-building, 1.1 million-square-foot complex serves as the convergence point of commonwealth and Brookline Avenues. Mr. John Rosenthal, the lead developer of the project from Meredith acknowledged the fact that he had been trying to build at the over 4-acre site for more than twenty years. Various issues including financial challenges had delayed the project for that long. 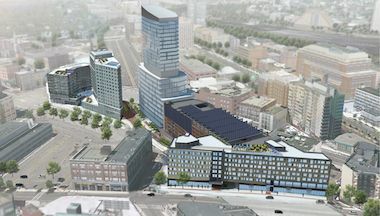 Once completed, the Fenway Center is expected to have more than 600 units of housing, 1290 parking spaces, 160,000 square-feet of offices, community space, 50,000 square feet of retail, a bike-share station, and a bicycle storage facility. The lead developers Delaware North and Boston Properties originally broke ground for this enormous project in January 2016. Over time, the project has continued to unfold, and it is now part of the many new developments around the North Station. Phase one of the project is expected to be completed before the end of the year, and it will feature a 15-screen movie theater, a North Station, and a 10,000 square-feet of fresh outdoor space that will also offer new entrance to TD Garden. Once all the phases have been completed, the Hub will feature hotel rooms, offices, residential houses, shops, and restaurants. 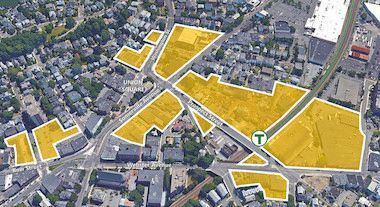 The lead developer of this project, Boston properties, has a plan of building at least 1.2 million square feet of housing, retail shops, offices, and restaurants around the Back Bay station. All the plans for this project were signed off in November 2017 by the Boston Planning & Development Agency, and part of the project is already underway. One of its three towers is expected to rise to over 360 feet. The commencement of the project was delayed due to various issues chief among them being the worry of the shadows that the project would likely cast. The project is seen as a transformative move that will help to connect Back Bay and the South End also includes several improvements to the station itself. The Boston Planning Agency also approved the construction of the Winthrop Square Garage Tower in mid-May 2018, and the construction is expected to commence soon in the 690-square foot of land. 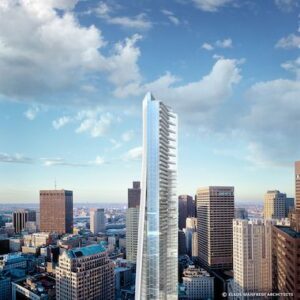 Upon its completion, the tower will be among the tallest buildings constructed in Boston in the recent past. 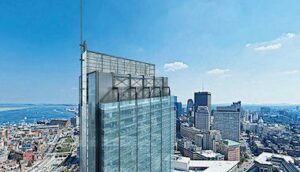 The building is expected to stretch to slightly over 775 feet making it the second tallest in Boston behind the 200 Clarendon. However, the planning agency has directed the developers to reexamine the tower’s size and density before a construction license is issued paving the way for its construction.